Prejudice is unreasonable and should be avoided, but truth is that as much as I try to overcome it, I still happen to be biased. When I visited Japan I did not have a precise itinerary. I know I wanted to see Tokyo, Kyoto, Nara and explore a few more places off the beaten track. Hiroshima was a question mark. A part of me felt like I had to go, if only for its historical significance. On the other hand, I was not fully convinced, although I didn’t know why. I arrived in Hiroshima with no expectations and convinced I would focus on the Hiroshima Peace Memorial Park (a UNESCO World Heritage Site since 1996), the Museum and the Atomic Bomb Dome. It ended up being one of the places in Japan which most impressed me. Nice modern buildings, lovely promenades along the river, stylish shops and restaurants and a vibrant atmosphere. 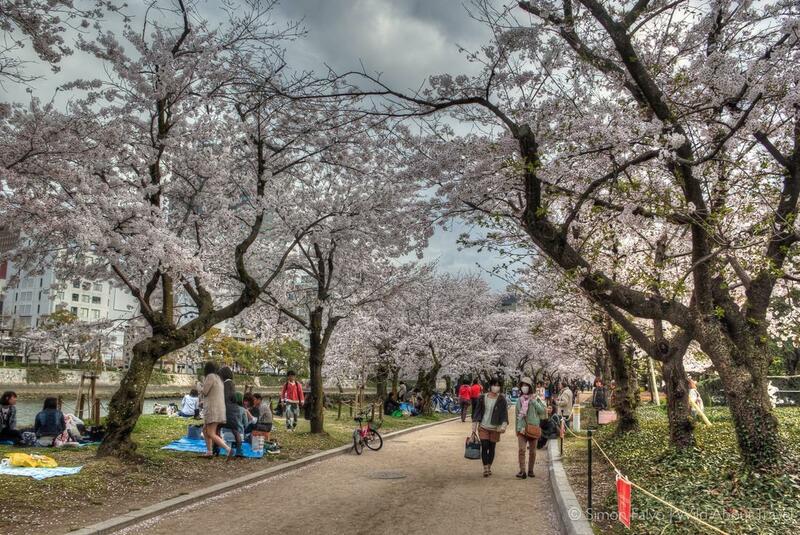 If it weren’t for the Peace Memorial Park and the Atomic Bomb Dome, one can hardly imagine that the city – much smaller at the time – was swept away by the H-bomb. As if nuclear destruction weren’t enough, only one month later a strong typhoon further devastated Hiroshima. 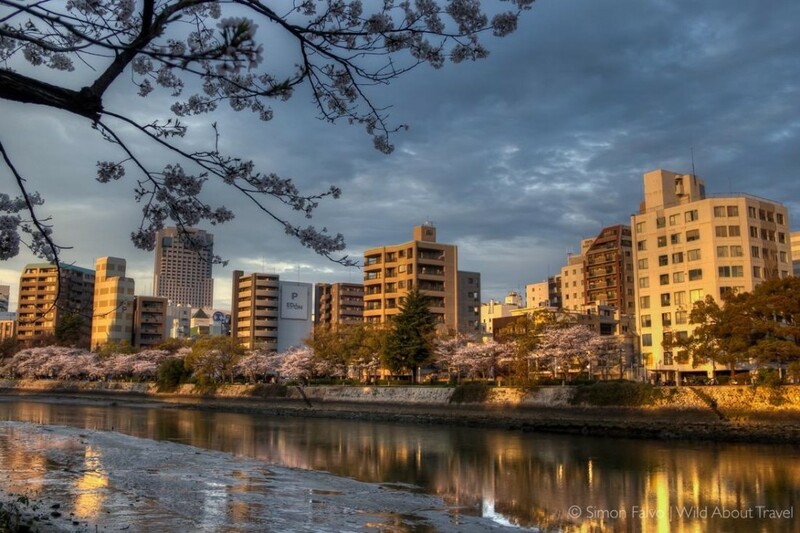 Declared a City of Peace in 1949, Hiroshima was gracefully rebuilt from the ashes. Unlike Tokyo, which was rebuilt and grew in a rather disorderly way (even taxis have often a hard time navigating the city), Hiroshima’s reconstruction seems to have been driven by a sensible city plan. 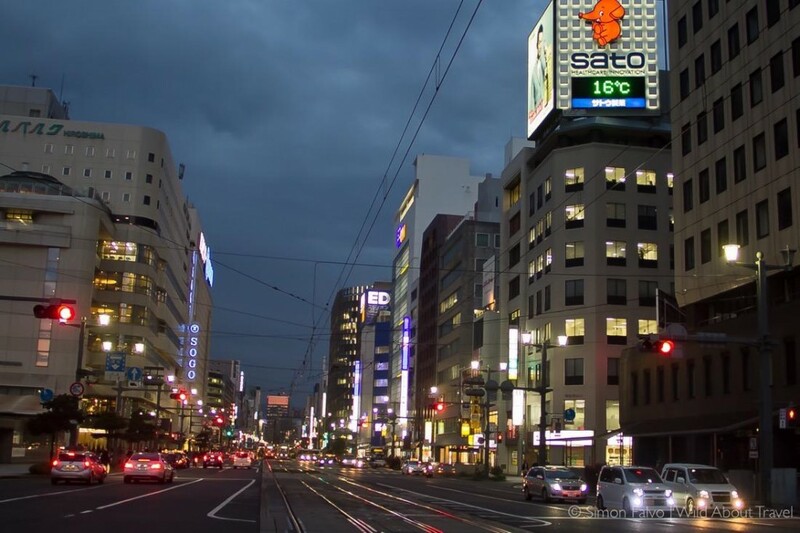 Today, it is a pleasant city, easy to explore on foot and by public transportation. Wandering along the river, under the sakura in full bloom, one thought stroke me. If I had to describe Hiroshima with a single word, this would be: peaceful. I know it’s something stemming only from a first impression, but the feeling was very strong. The sense of peace was something going way beyond the Peace Memorial Park. As strange as it may sound, as a whole the Park did not really impress me and I felt a little like in Berlin, when I visited the Holocaust Memorial. It’s at the Hall of Remembrance and in front of the Atomic Bomb Dome that emotions exploded. 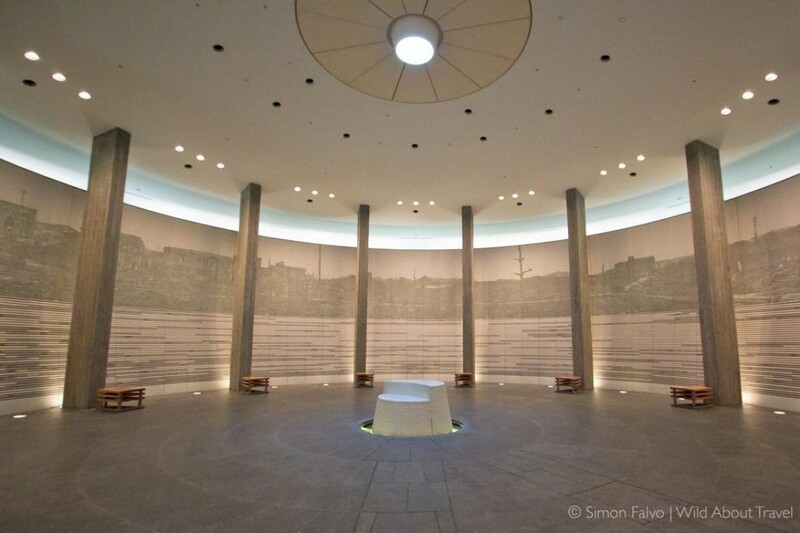 Inside the circular Hall of Remembrance, 140,000 tiles celebrate Hiroshima and Nagasaki victims. No decorations, only the grace of simple shapes, filling the space with a deep spirituality. I cried. For the victims. For the stupidity and the horrors of war. Perhaps it was only a coincidence, but I was surprised to see only a handful of people in the Remembrance Hall, and none of them Japanese. Very little is explained, inside the Memorial, which was a little puzzling. 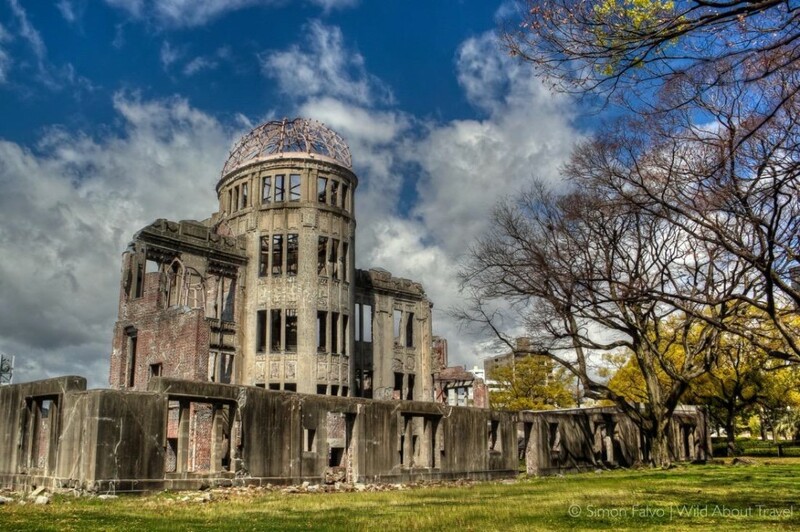 The Peace Memorial Museum documents 1945 Hiroshima atomic bombing putting the events into a broader historical perspective, mentioning the role of Japan in the Sino-Japanese wars as well as in World War II, and singing the praises of peace and promoting the elimination of nuclear weapons. There’s probably no culture apparently so near but in fact so distant from the Western one, and understanding the Japanese mind is at the same time fascinating and extremely difficult. The impression is that Japan still has difficulties in facing up to history, acknowledging the inconvenient truth of its role in the dramatic atomic bombing. 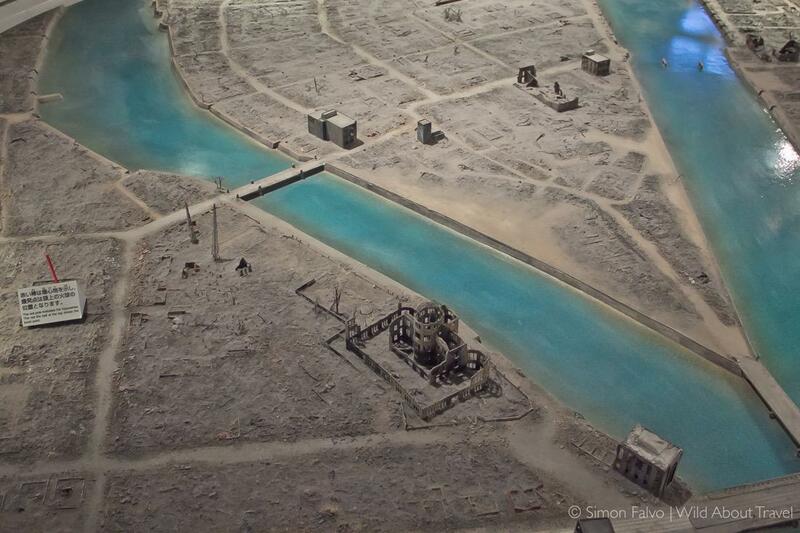 The way Hiroshima revived from the ashes is a great example of life overcoming death and destruction. What’s baffling, however, is that more than taking the lessons of history at heart, the past has been buried in an extreme effort to forget. But is it really possible to build peace without learning from the past? 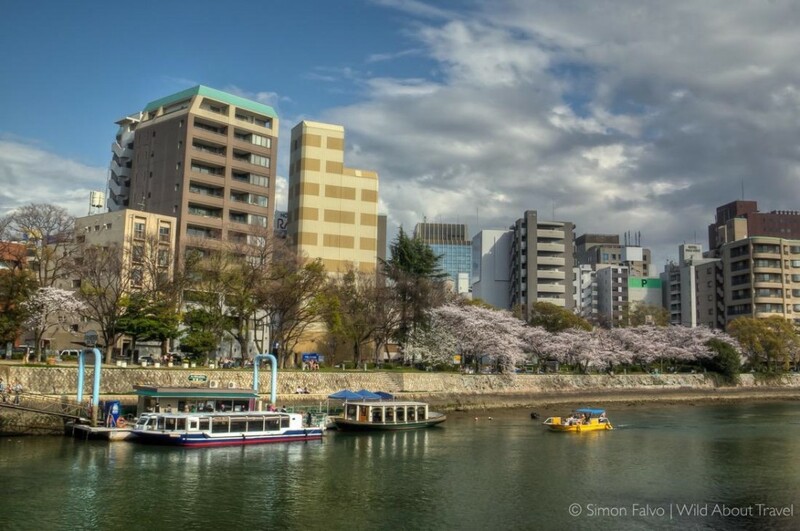 Simon, I love traveling in Japan, but have not been to Hiroshima. It is definitely on my list for next time. I think your photography is beautiful…as always! You’re so kind, Corinne. I think that photos can sometimes be more powerful than words and I do my best to convey my emotions of a place through them. If you go back to Japan and have the chance, I would recommend visiting Hiroshima. 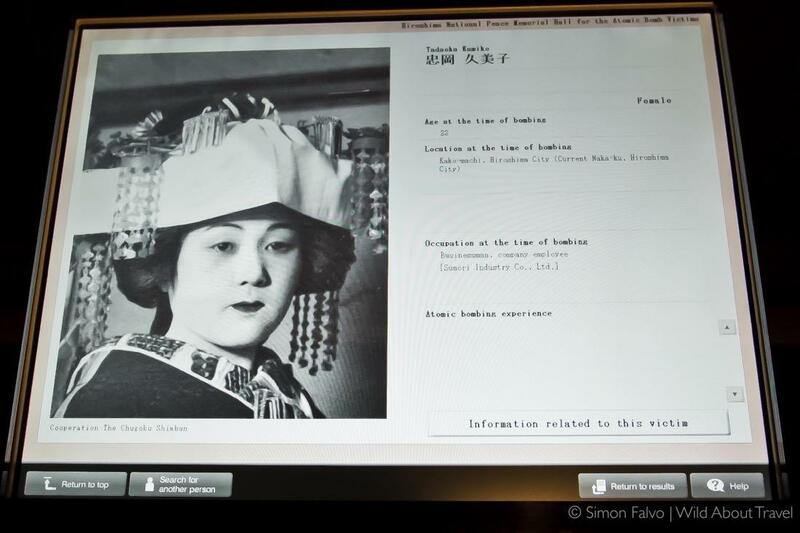 It tells a lot about Japan in the past and the present. Nice post… I remember seeing a documentary that said the atomic bomb fell directly above the dome, which is why it survived. A fitting memorial structure for sure. Interesting, Wendy. I don’t know where the H-bomb exactly fell and will have a look into that. Thankfully, the dome (or, better said, its remains) has been preserved, and seeing it is truly moving. Your photos are simply amazing Simon! I always want to buy a plane ticket after reading your posts! Awww… You’re so kind, Serena. Nothing makes me happier than being able to inspire people to discover beautiful places, no matter if near or far. Many people might never actually go to Hiroshima, but perhaps they’ll be willing to learn a little more about the city, history, Japan.